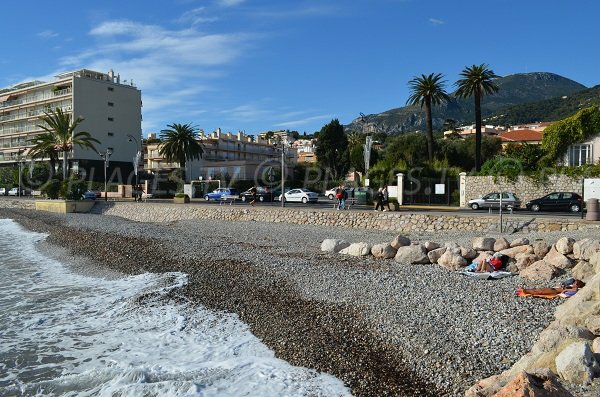 Carnoles Beach in Roquebrune Cap Martin is located on Avenue Robert Schuman, after Cap Martin, toward Menton. 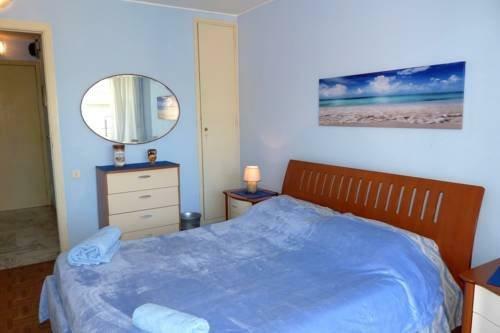 Several stone beaches, 900 meters, are available to vacationers in one of the four bays. This beach has a lifeguard in July and August. 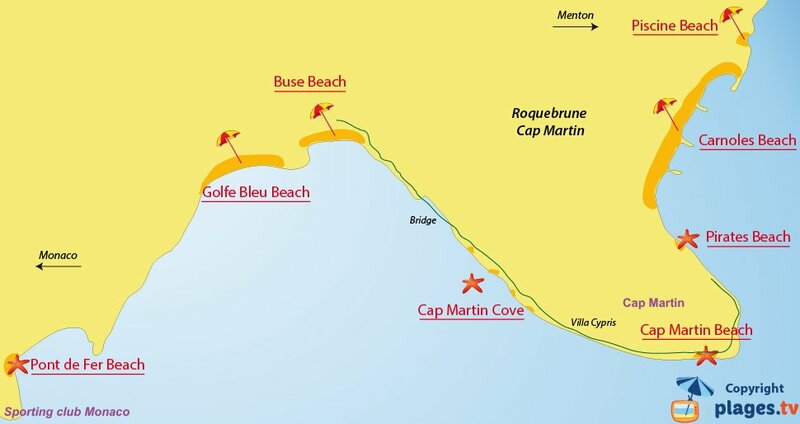 Two lifeguard stations are available: the first in the middle of the first bay and the second is on Avenue Hector Berlioz. Note that this last beach is labeled as handicap accessible. Three lookouts assure the surveillance of this beach and the last is in the center of the last bay. The last bay is the most agreeable. Note that the submarine dam is at 100 meters from the shore. 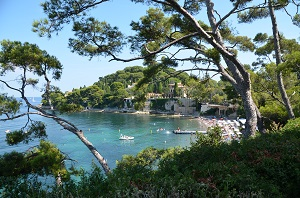 We find two private beaches here: one near Cap Martin and the other near the swimming pool. Here we have a birds' eye view of the town. We can see the stone bays in downtown. 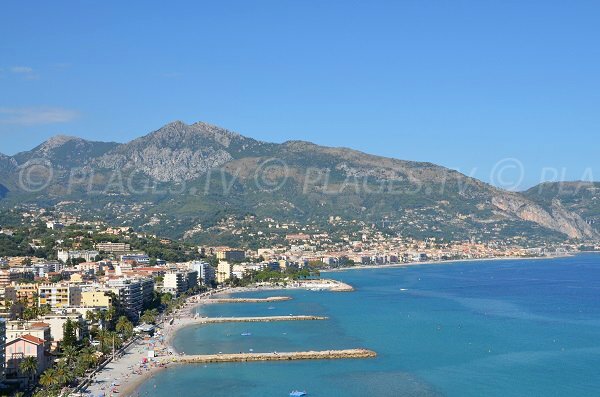 In the background are the beaches of Menton and we can see Italy. 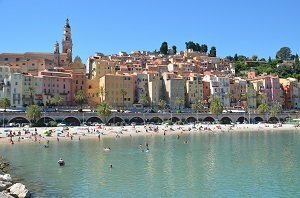 Carnoles Beach – view from Cap Martin toward Menton. 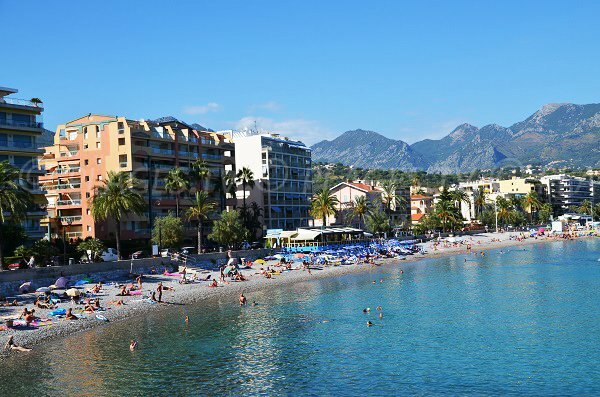 On the left are the beaches of Roquebrune that are the continuation of the beaches of Menton. 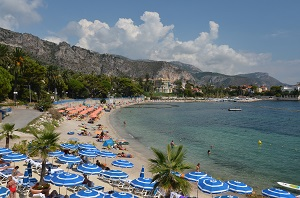 Stone beaches at the entrance of Cap Martin near the first by. It is October and the sea is agitated. 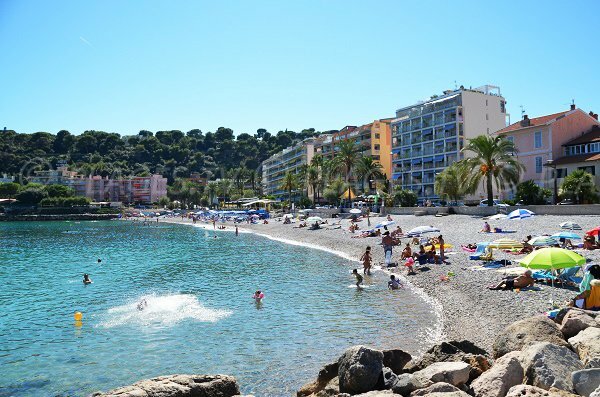 Nice view of Cap Martin. Note that there are a few private beaches but it is mostly public here. 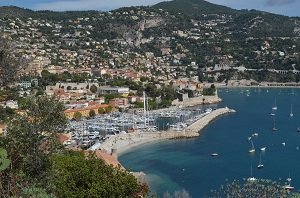 Near the first cove of Roquebrune we find a lookout. 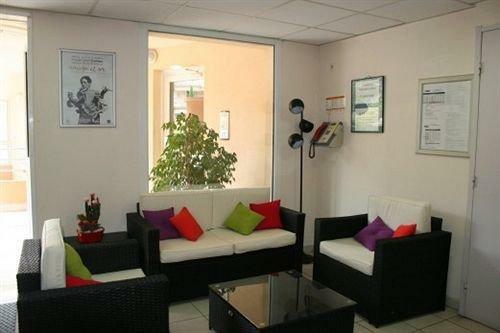 Near Avenue des Marguerites. 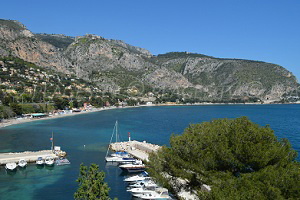 View of Cap Martin. Near the roundabout on Promenade Robert Schuman we find a lookout. 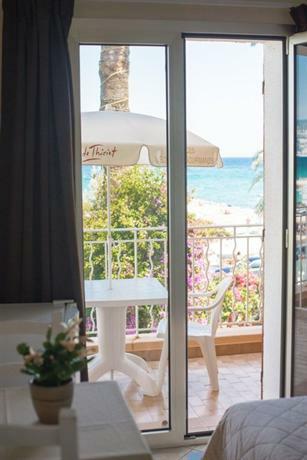 From here we have a nice view of the bay of Menton and the first Italian seaside destinations. Near the third cove, we find a handicap accessible beach. We can see in the photo that there is a ramp to the beach. Across is a parking lot. 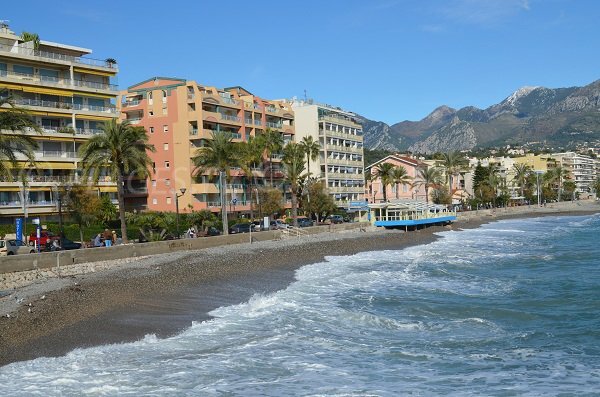 This beach is handicap accessible and has a view of Menton. 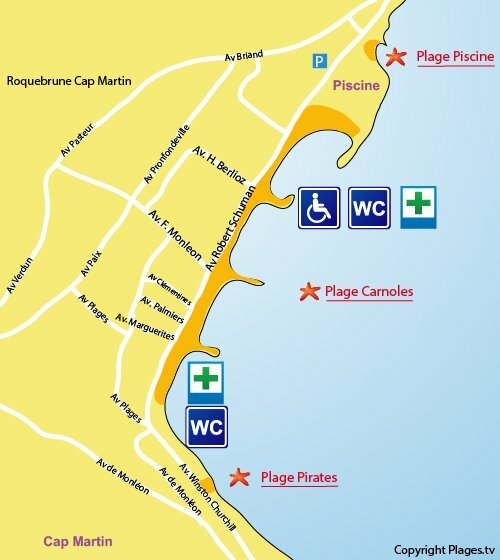 Water flotation devises for the handicapped are available at the lifeguard station. 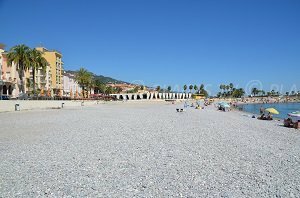 At the exit of Roquebrune, going toward Menton, there is a nice zone with stones. 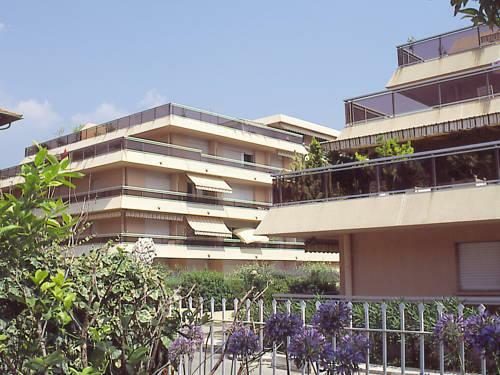 Further is a covered pool and the restaurant Solenzara. At the edge is a water sports center.